Echinodorus palaefolius is grown in fish pond belonging to a school house in Garut West Java, the name of the school is Wikrama Garut. The students and teachers at this school planted by the fish pond look beautiful and natural. My wife also teaches at school. Echinodorus palaefolius is different from ordinary jasmine flowers, Echinodorus palaefolius has a wider petal size. The leaf shape of this plant is quite stiff and has rough hair on the top and bottom surfaces. This plant is easy in its care and will be diligent flowering. This plant if planted in the soil media in pots will cause the bottom of the pot a little muddy. But the beauty of this ornamental plant no doubt. Echinodorus palaefolius includes stale water plants and minimal care. It has many roots, with green leaves. Adult plants will be high. 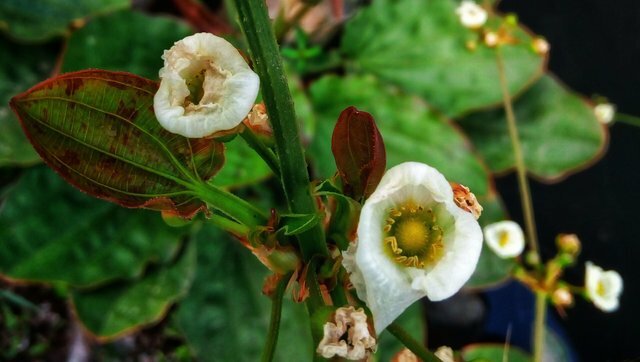 Flower stalks will appear with twigs overgrown with buds ready to bloom alternately, jasmine flowers are bright white, Echinodorus palaefolius flowers are not fragrant. 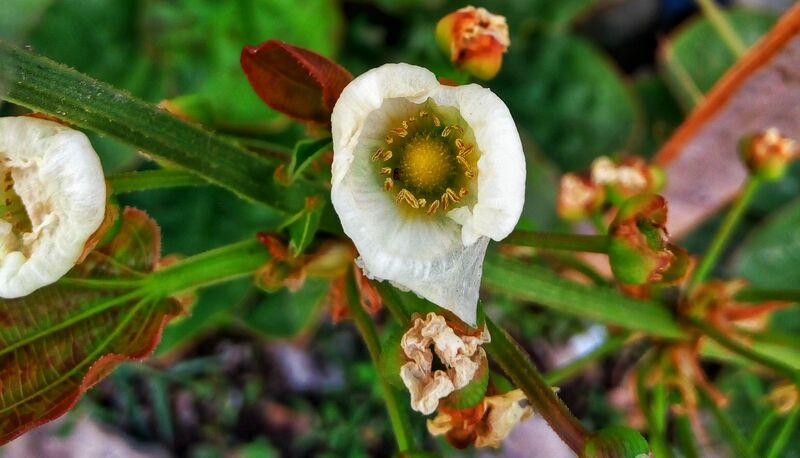 After the flower stalks out, from each flower bud will come out the leaves and small roots, to proliferate only cut the stems / branches of flowers and then placed in the mud watering. Echinodorus palaefolius suitable placed on a pot that has a large surface, planting medium can be used soil mixed with goat and mud. For those who find it difficult to mud as a growing medium can use the remains of plant leaves, the remains of these leaves are soaked into the soil to the media to rot and become mud. The use of goat droppings is not too much because it causes heat and wet goat dung will cause odor, but very good for ornamental plant fertilizer such as Echinodorus palaefolius one of them. I took this photo using my Lenovo camera phone which is currently owned by my wife. This post has received a 0.36 % upvote from @booster thanks to: @anwarabdullah.